Mitch was the best realtor I have ever worked with. Always kept me informed about what was available, understood what we were looking for, and stayed within our price range. I would recommend Mitch to anyone looking for a house in Middle Tennessee. We highly recommend Mitch to help with your real estate needs. He was very responsive and helpful throughout the ebntire home process of selling our two homes and helping us find our dream home! I bought my first house December 23, 2014 with Mitch's help. I am assuming you can assume how crazy it was given it was the Holidays, but Mitch got it done! Not on time did Mitch complain or say anything negative. He was always positive, encouraging and very helpful. He answered every test, phone call, and question. I would highly recommend him to anyone in the market to buy or sell a home. My husband and I have had a great experience working with Mitch selling our home, and we are currently still working with Mitch to buy a new home. Always very responsive and very professional, I would highly recommend Mitch Umbarger whether you are buying or selling a home. My husband and I had a wonderful experience working with Mitch! We were first time homebuyers and Mitch was very helpful by explaining the process and our options along the way. Mitch listened very closely to what we wanted and found us the perfect house quickly. He was very flexiable and was very professional. We would highly recommend working with Mitch, he will not disappoint. Mitch was great, I was extremely picky about buying my first home and he was very patient with me throughout the proecess. I would use him and his team again. Mitch was a pleasure to work with. As a single young female buying my first home, he helped me to get a wonderful house and very resonable price. He also, later helped me sell my house due to an out of state move quickly and without any hassels. He's a hard worker and I would recommend him to anyone! Mitch is always available for questions and concerns. He definetly has great experience as an agent. Mitch helped us choose the house that wirjed best for our family. Mitch was very responsive and knowlegeable of any questions we had during the buying process. We would definetely recomend Mitch if buying or selling in the area. 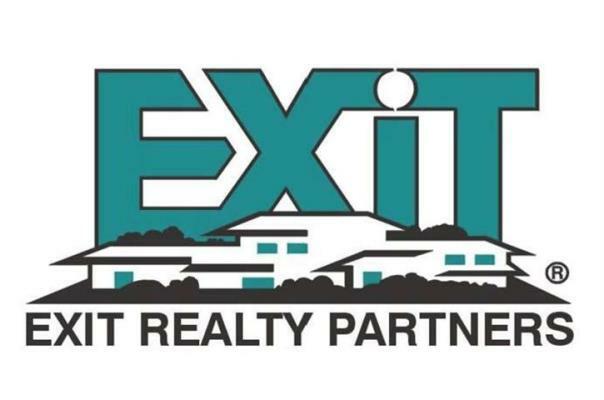 My selling experience with Mitch and Exit Realty was awesome. From start to finish it was a very painless process. Mitch listened to my wishes and understood my urgency to sell the property. Mitch was always in communication with me and was always available via text or email. I highly recommend him and his team for any buying or sellign needs. Mitch sold my fathers house in Morrison in less than 6 weeks after others in his area couldn't after listing it themselves for a YEAR. We are happy to have been referred to you and will recommend in the future!! Highly likely to recommend 09/01/2018 Bought and sold a Single Family home in 2018 in McEwen, Franklin, TN. Mitch has been our agent for at least 7 real estate transactions. We wouldn't consider using anyone else. He was very timely and willing to do things on our schedule. He treats you like family! Highly likely to recommend 08/27/2018 Bought a Single Family home in 2018 in Manchester, TN. Mitch was prompt and professional in helping us find our new home. He was diligent in helping us find what we had in mind and what was just right for us. Any questions or concerns were always addressed in short order and he has the knowledge to give sound guidance and direction with a caring spirit. We are truly blessed that Mitch and Lora have been here for us during the purchase of our new home. God Bless you both! 08/12/2018 Sold a Single Family home in 2018 in Manchester, TN. Mitch is a great realtor! Easy to work with. Easy to talk to. Works with all your needs! Thorough in every aspect! Would definitely recommend him to anyone in the area looking for a realtor! 08/10/2018 Bought a Single Family home in 2018 in Manchester, TN. Mitch went above and beyond finding me my new TN forever home!!! I relocated to Tn from another state and he did a phenomenal job from start to finish. Very responsive and answered all of my questions. I can’t thank him enough for finding me such a beautiful home, it was a pleasure to work with him! I highly recommend Mitch for your home buying needs, his wealth of knowledge was very remarkable throughout my home buying process. 08/06/2018 - Very professional and courteous people. They are good at what they do and see very helpful in showing you what you need. If you ever need to buy or sell a home or property they are the ones you should talk to. 07/03/2018 Not only is Mitch an excellent realtor, he is just an overall great guy. I am a Pastor at the church where Mitch and his family attend and can’t say enough good things about him. From A professional standpoint, Mitch was able to get our house sold for full asking price before it even hit the market. He is very detailed and kept us updated throughout the entire process. The whole process was simple and easy. I would highly recommend Mitch if you looking to buy or sell a house. 05/27/2017 Mitch was amazing, we had very specific things we wanted in a home, none of which were easy to find especially all in one. He was very knowledgeable and never tried to steer our decision in one direction or another. Not only did he help find the right house for us but he also sold the home we were living in right away. I would recommend Mitch to anyone he is a great agent and person. 03/20/2017 Mitch was very patient and found me and my wife the perfect house, which was our first. He even pointed us to lenders. The process was a piece of cake and we will definitely use him again. 06/25/2016 Mitch is amazing he sold our house in 10 days! And helped us find a new home all at the same time! Through the whole process he walked with us step for step. 6/07/2016 If you need to buy or sell a home make sure you contact Mitch Umbarger. He has helped me to do both of these and provided top notch service each time. He is honest, trustworthy, and knows what he is doing. There is no doubt that he is the top agent in Coffee County. 02/01/2016 Mitch was great, I was extremely picky about buying my first home and he was very patient with me throughout the process. I would use him and his team again. 12/30/2015 Mitch is always available for questions and concerns. He definitely has great experience as an agent. Mitch helped us choose the house that worked best for our family. 12/29/2015 Mitch was a pleasure to work with. As a single young female buying my first home, he helped me to get a wonderful house and a very reasonable price. He also, later helped me sell my house due to an out of state move quickly and without any hassles. He's a hard worker and I would recommend him to anyone! 12/29/2015 Mitch was very responsive and knowledgeable of any questions we had during the buying process. We would definitely recommend Mitch if buying or selling in the area. 07/26/2015 Mitch was the best realtor I have ever worked with. Always kept me informed about what was available, understood what we were looking for and stayed with in our range. I would recommend Mitch to anyone looking for a house in middle Tennessee. 04/03/2015 We highly recommend Mitch to help with your real estate needs. He was very responsive and helpful throughout the process of selling our two homes and helping us find our dream home! 07/28/2014 My husband and I have had a great experience working with Mitch selling our home, and we are currently still working with Mitch to buy a home. Always very responsive and very professional, i would highly recommend Mitch Umbarger whether you are buying or selling a home..
07/22/2013 My husband and I had a wonderful experience working with Mitch! We were first-time homebuyers and Mitch was very helpful by explaining the process and our options along the way. Mitch listened very closely to what we wanted and found us the perfect house quickly. He was very flexible and was willing to work with us on our time schedule. He was great! He was wonderful through the negotiations with the sellers and while we were waiting for our financing, he always kept us informed and positive. He seemed genuinely happy for us to become first-time homeowners! We would certainly recommend working with Mitch to find the house you are looking for! 07/21/2013 Mitch is a very personable realtor and did an excellent job with the listing in a tough real estate market. Listed in August and closed in November! He knows the Manchester market very well and would highly recommend him as a realtor. 07/19/2013 Mitch was wonderful to work with. I had a difficult situation, dealing w/ an ex-spouse, living in a different state and trying to negotiate a a short sale. Mitch took charge of the situation and made it simple for me. Mitch is highly recommended. 04/04/2013 Mitch and his associates at Exit Realty Partners of Manchester provided me with excellent service. I am not a client that is easy to please. I am like a lot of home buyers...I want a great house at a low price. Mitch worked with me for over a year and never lost his patience. He was always honest and strait forward. I will use him again, for sure.